The Eurasian Customs Union (EACU) is a customs union which consists of all the Member states of the Eurasian Economic Union. The customs union is a principal task of the Eurasian Economic Community, established in 2000, and now succeeded by the Eurasian Economic Union. No customs are levied on goods travelling within the customs union and – unlike a free-trade area – members of the customs union impose a common external tariff on all goods entering the union. One of the consequences of the customs union is that the Eurasian Union negotiates as a single entity in international trade deals such as the World Trade Organisation, instead of individual member states negotiating for themselves. It came into existence on 1 January 2010. Its founding states were Belarus, Kazakhstan and Russia. On 2 January 2015 it was enlarged to include Armenia. Kyrgyzstan acceded to the EEU on 6 August 2015. The original treaty establishing the Customs Union was terminated by the agreement establishing the Eurasian Economic Union, signed in 2014, which incorporated the Customs Union into the EEU’s legal framework. The member states continued with economic integration and removed all customs borders between each other after July 2011. On 19 November 2011, the member states put together a joint commission on fostering closer economic ties, planning to create a Eurasian Economic Union by 2015. On 1 January 2012, the three states formed a single economic space to promote further economic integration. The Eurasian Economic Commission is the regulatory agency for the Customs Union and the Eurasian Economic Community. The creation of the Eurasian Customs Union was guaranteed by 3 different treaties signed in 1995, 1999 and 2007. The first treaty in 1995 guaranteeing its creation, the second in 1999 guaranteeing its formation, and the third in 2007 announced the establishment of a common customs territory and the formation of the customs union. Sheremetyevo International Airport, Moscow, Russia. Passengers from Kazakhstan are no longer subject to customs inspections. When exporting goods a zero rated VAT is guaranteed and (or) the exemption (refunds) of excise taxes if sufficient documentary evidence has been provided (proof of export). Imported goods into the territory of the Russia from the territory of Belarus or Kazakhstan are subject to VAT and excise duties and are levied by the Russian tax authorities. 87.95% of customs import duties come from Russia’s budget, 4.7% from Belarus and the remainder from Kazakhstan. Access of products to the single territory of the Eurasian Economic Union – EAEU (Belarus, Russia, Kazakhstan, Armenia, Kyrgyzstan) (formerly Customs Union) is granted after products have proved to be compliant with the requirements of Customs Union (CU) technical regulations (TRs) which are applicable to the product. As of September 2016, 36 CU TRs have been developed covering different types of products. Some TRs are still[when?] being developed. Here you can see the list of developed CU TRs. For DoC, the applicant must be a local entity registered in the territory of a EAEU member country. The range of applicants for Certification is defined in the relevant CU TRs (e.g. 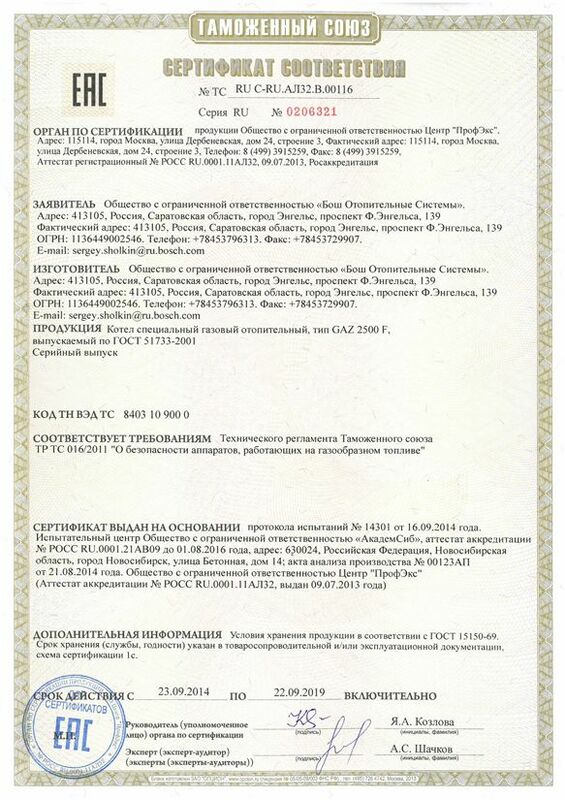 for CU TR 004/2011 Safety of low voltage equipment and CU TR 020/2011 Electromagnetic Compatibility (EMC), the applicant can be either a manufacturer including a foreign manufacturer of local EAEU entity[clarify]). All conformity assessment works (testing/inspection/certification) can only be done by local certification bodies/testing laboratories accredited in the EAEU member countries by their national accrediting authorities. However where the EAEU countries are members of international organizations (such as IECEE), competent national certification bodies in EAEU accredited in the same international organizations (e.g. for the IECEE, the list of EAEU certification bodies accredited in IECEE can be seen at the following link) have the legal right to recognize the results of the national certification bodies from the other member countries of these international organizations. For products which successfully passed the CU EAC conformity assessment procedure – a CU EAC certificate is issued (an example CU EAC certificate). All certificates/declarations are officially registered (by the certification bodies) in the Registers for CU EAC certificates/declarations maintained by each member country. The term of validity is defined in the certificate (it can be up to 5 years). For series manufacturing certificates, there’s mandatory annual surveillance procedure (performed via sample test or factory inspection). Products complying with all applicable CU TRs are marked with the mandatory EAC mark. a) There are areas where national requirements are valid in each member country. E.g. for RF (radiotelecommunication) appliances/modules. It is not currently[when?] planned to develop unified requirements in the EAEU for this type of products, although this may change in the future. As of today[when? ], it is not expected that unified requirements in EAEU for radio-telecom appliances/modules would appear earlier than in 2020.
b) Due to uneasy process of development of CU TR system in EAEU, the national member countries are starting to implement national requirements in the areas strategically important for these countries in the absence of proper quality unified EAEU TRs (e.g. Belarus introduced mandatory national energy efficiency requirements for electrical products on its territory from 01.02.2017). National approvals/certificates – they were good for access of product to the country where this approval/certificate has been issued. Customs Union certificates/approvals issued in accordance with the “List of products subject to mandatory conformity approval in the Customs Union” – such certificate/approval was valid in all the three member countries of the Customs Union. The Customs Union has meant that a transit visa is needed when travelling to or from Armenia, Belarus, Kazakhstan or Kyrgyzstan, and changing plane in Russia. The union is also known as “Taiga union” (Russian: Таежный союз, Tayozhnyi soyuz) associated with its geographic origin (taiga) or “Murky union” (Russian: Мутный союз, Mutnyi soyuz) as a Russian calque of Ukrainian “customs union” (Ukrainian: Митний союз, Mytnyi soyuz). ^ “Демография – Численность и состав населения” [Demography – Population numbers and composition]. Federal State Statistics Service of the Russian Federation. Retrieved 2018-12-28. ^ a b “World Economic Outlook Database, April 2017 – Report for Selected Countries and Subjects (Armenia, Belarus, Kazakhstan, Kyrgyz Republic, Russia)”. International Monetary Fund. Retrieved 2018-12-28. ^ “Kyrgyzstan, Armenia officially enter Eurasian Economic Union”. WorldBulletin.net. 2014-12-24. Retrieved 2018-12-28. Kyrgyzstan and Armenia will officially enter the Eurasian Customs Union that was created by Russia, Belarus and Kazakhstan, on the January 1, 2015. ^ Barron, Lisa (1 October 2013). “Belarus eases current account deficit with Customs Union, Common Economic Space”. Cistran Finance. Archived from the original on 29 October 2013. Retrieved 25 October 2013. ^ “Доклад «Итоги деятельности Минэкономразвития России в 2009 году и задачи на 2010 год»” (PDF). 23 April 2012. Archived from the original (PDF) on August 20, 2011. Retrieved 23 December 2014. ^ “Белоруссия может выйти из ТС, если Россия не отменит пошлины на нефтепродукты”. Archived from the original on 2013-10-12. Retrieved 2013-10-12. ^ “What is EAC (TR CU) approval?”. ^ “Статистика внешней торговли и статистика взаимной торговли”. Евразийская экономическая комиссия, Департамент статистики. Archived from the original on 2013-08-29. ^ Объемы, темпы и пропорции развития взаимной торговли государств — членов ТС и ЕЭП (pdf) (in Russian). Евразийская экономическая комиссия, Департамент статистики. ^ Объем внешней торговли Таможенного союза (pdf) (in Russian). Евразийская экономическая комиссия, Департамент статистики. ^ Итоги внешней торговли Таможенного союза со всеми странами (pdf) (in Russian). Евразийская экономическая комиссия, Департамент статистики. ^ Hayrumyan, Naira (2012-12-10). “Failed reset? : United States decries “sovietization” of former USSR states”. ArmeniaNow.com. Retrieved 2018-12-28. ^ “Transit Visas”. Embassy of the Russian Federation, The Netherlands. Retrieved 30 March 2018.